It takes the human brain three hundred to seven hundred milliseconds to identify a picture or read a word aloud from a page. We haven’t even begun to scratch the surface of the brain’s potential. However, there are many limitations to how the brain makes decisions; hiccups in our logical thinking that cause us to make unwise decisions. 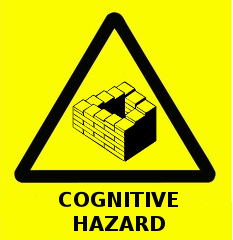 One such hiccup is cognitive bias. Sometimes cognitive biases help our brains process information more quickly and effectively, particularly in a crisis or tense situation where thinking faster has a direct, immediate outcome. However, these same biases can cause us to make severe errors in judgement when we rely on them alone for processing information. A cognitive bias is a genuine failure in our thought processing – arising from miscalculations, external social influences, or personal experiences. When trading in any market, it is easy to let these cognitive biases make decisions for us, especially when our brains come to a potential opportunity we don’t understand fully. This is one of the key factors of behavioural economics. Confirmation Bias: As human beings tend to shy away from what makes them uncomfortable, the human brain tends to become preferential to things that agree with its way of thinking. Things that reaffirm personal views are readily available in the daily websites the average person visits. Thus, the average person feels more confident making economic decisions within the realm of their personal experiences. In-group Bias: Human beings tend to be people that work better in a tribe of like-minded individuals. They seek and surround themselves with those who agree with them, providing a false sense of security as they tend to become off-putting to those who don’t fit precisely into their clique. Once they exclude any who disagree, they tend to overestimate their own abilities and the value of their group at the expense of groups or people they don’t actually know. The Gambler’s Fallacy: This is simply the theory of mentally adjusting odds due to past outcomes. It is one of the causes of momentum in a market. The cognitive bias is when a person begins to believe that, if they’ve flipped a coin ten times and it has landed on heads every time, the next time they flip the coin will somehow have a greater possibility of landing on tails. Unless they are Rosencrantz or Guildenstern, the odds still remain the same. Post-Purchase Rationalisation: This is a way of justifying a purchase, usually an expensive one, even if the purchase becomes disappointing. People can even convince themselves it was such a great purchase to begin with that they will throw good money after bad. 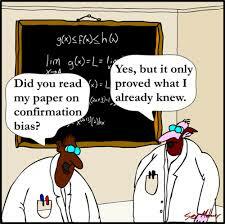 It is a dangerous cognitive bias as it exemplifies a loss for an unconfirmed gain. Neglecting Probability: Air travel is far safer than car travel, yet more people are afraid to get on a plane than in a car. This cognitive bias leads the brain to exaggerate risks of things that are perfectly safe at the expense of those that have a higher probability of danger. Observational Selection Bias: This is when the mind, for one reason or another, singles something out that had not been there or it had not yet noticed and suddenly finds it everywhere. It makes the mind feel coincidence doesn’t exist, however improbable. 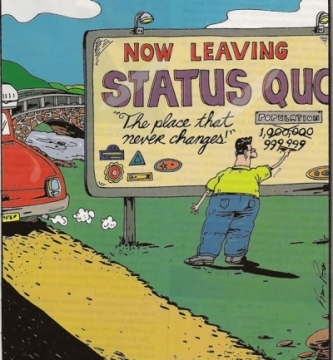 Status Quo Bias: This bias makes the brain resistant to change. It will stick to routines, political points of view and market trends on the belief that any new choice will be inferior. Negativity Bias: Strangely, our brain tends to lend more weight to bad news than good – this is why someone can’t take a compliment as well as they take an insult, for instance. The brain somehow considers good news less worthy of its attention as bad news likely involves a problem that needs fixing. A market on a steady incline can become shaky when the investors perceive a tiny dip in its earnings. Decisions made in the scope of this bias can make the trader themselves the problem in the market. 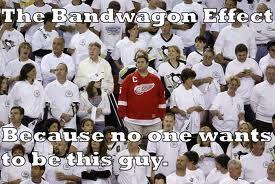 Bandwagon Effect: The brain’s desire to conform – if so many think something is a good idea, it must be. In a market, it is the root of momentum investing and it is driven mainly by fear and greed. Projection Bias: Our brain can project the idea that people think exactly like we do, even though they haven’t had the same experiences or education or any similar life lessons of the kind. When we tend to exaggerate how “normal” we are and compare others with an imaginary consensus where there is none. This can lead to a belief that one cannot fail as “everyone” knows this market is a sure thing. The Current Moment Bias: We want good things now and bad things later. We will leverage our child’s quality of life so we don’t have to bother with stricter, global attention to climate change philosophy. Our brain chooses what is in the now over the possibility of an uncomfortable future. The American housing crisis is a wonderful example of how badly this can effect a market. Anchoring Effect: This is when the brain is given comparisons in a fixed state that it then applies to the value of the things it’s comparing. 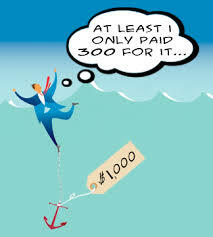 For instance, if a stock is inexpensive compared to one of its “peers” or a past projection, an investor might take advantage of low price without looking outside the comparison as to why the stock was cheap in the first place; perhaps there was a recall or a drastic change in management not reflected in only looking at the price. By looking at behavioural economics issues, we can more easily understand the ebb and flow of the modern market with regard to how or why people are spending, saving, or investing. Being aware of the cognitive biases of investors can allow traders to help their clients make better decisions with their finances and help create a stronger market and economic future. Reblogged this on Brain Drain.